Megger offers a comprehensive line of both flexible and clamp-on current transformers that are used with power quality analyzers and recording volt-ammeters. These accessories are specifically geared for use with the entire PA-9 Series along with the SLM-8 Recording Volt-Ammeter and the older PA7, RVA4 and RA recorders. 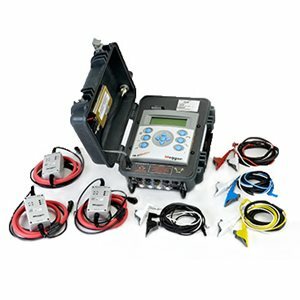 The CT, also known as a current probe (CP) or current clamp, is self powered and does not require the use of a battery when used with Megger PA-9 or PA-9Plus instruments. Megger also markets a battery-operated CT for customers who require one with their power quality product or older Megger unit.